Gazprom has purchased a 20% stake in oil company Gazprom Neft from Italy's ENI for $4.2 billion dollars. The deal was signed Tuesday at the Russian-Italian economic forum in Moscow. The announcement comes after ENI, and Italian partner Enel, bought a range of former Sibneft assets for $4.5 billion in April 2007. 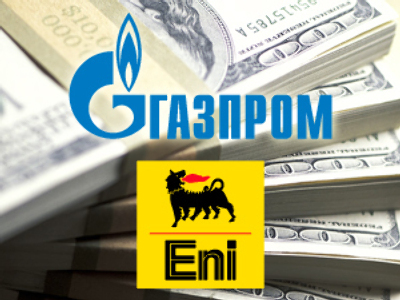 At that time ENI gave Gazprom the right to buy the stake for $3.7 billion plus transaction costs at any time during the following 2 years. Gazprom has also disclosed it will take a 51% stake in SeverEnergia, an ENI, Enel joint venture to bid for Russian energy assets, by the end of April. Gazprom's Deputy CEO says the acquisition has potential for growth, and that overall decreasing demand for gas in Europe isn't affecting the company's activity.